The final season premier is finally here and we're diving in deep! SPOILER ALERT!!! Dragons on the Wall is back in time for Game of Thrones final season. Terri Schwartz, Laura Prudom, and Joshua Yehl have gathered to predict the incoming approach of Winter? Who will live? Who Will die? We're predicting it all. Game of Thrones might be over, but Dragons on the Wall doesn't have to be! Joshua and Terri reunite one week after the Season 7 finale to discuss the highs and lows of the year. Game of Thrones went all in on its Season 7 finale. There was so much to talk about, in fact, that IGN's Dragons on the Wall hosts Terri Schwartz and Joshua Yehl delivered an extra long episode to dig deep into "The Dragon and the Wolf." Dragons on the Wall, IGN's weekly Game of Thrones show, finally got to see its namesake come true in this week's episode of Game of Thrones, "Beyond the Wall." With trouble brewing to the North, trouble brewing in Winterfell and Eastwatch-by-the-Sea investing in some very speedy ravens, there was a lot to discuss this week about an episode we were a bit divided on. The Dragons on the Wall team is here to unpack the events of "Eastwatch." - Was Dany too harsh on her defeated enemies? Dragons on the Wall is IGN's Game of Thrones show, so make sure to tune in every week after the episodes air for our experts' takes on the insanity that's sure to go down in Season 7. What a freakin' episode. The Dragons on the Wall team has reunited to unpack the events of "The Spoils of War," from that epic final battle sequence to all those epic reunions, plus some deep theories on potentially significant name-drops. The Dragons on the Wall team has reunited -- with a couple hosting updates as well -- to dig into the excitement of "The Queen's Justice" in this week's episode. The Dragons team looks at the jam-packed "Stormborn" and which alliances and betrayals are starting to take shape in season 7. The Dragons team looks at the jam-packed "Dragonstone" and how the stage has been set for Season 7. 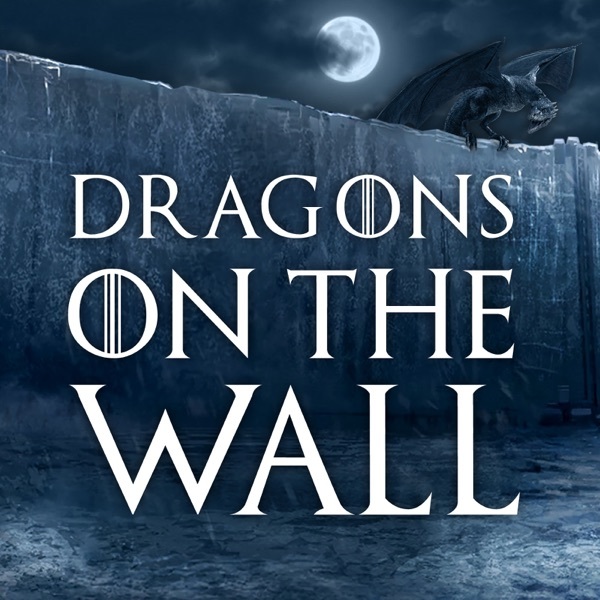 Terri and Eric kick off our Dragons on the Wall season with predictions, theories and death speculation, plus an interview with Samwell Tarly himself! With Season 6 in our dragon-mounted rearview mirror, we look back on what worked, what didn't and what's next. Eric and Terri discuss the huge events in Season 6's finale, both in Westeros and beyond. The "Battle of the Bastards" delivered on its promise. The Dragons crew on this huge episode and what stood out (and a couple of missteps). "No One" episode wrapped up a few storylines, but did it do so in a successful manner? Eric and Terri discuss the events of Season 6's seventh episode and how we wish a couple of plotlines had played out differently. The Dragons crew talk more notable reunions and character returns, plus intriguing glimpses of the past and future, in Season 6's sixth episode. The Dragons crew on the big (and heartbreaking!) revelations that occurred in Season 6's fifth episode. Jim and Joshua on the episode's big reunions, political dealings, fiery conclusion and what's ahead. Terri and Eric discuss the oathbreakers in question, flashbacks, Jaime & Cersei and more in their spoiler-filled discussion of "Oathbreaker." We discuss "Home" and all that occurred as we said goodbye tosome characters and welcomed back others. Eric Goldman and Terri Schwartz kick off a new year of IGN's Game of Thrones-centric podcast, discussing the events in the Season 6 premiere. Alas, another season of Game of Thrones has come to a close, and this time all fans are left equally in the dark about what's to come next, as the books have now caught up with the HBO series. Joshua Yehl, Roth Cornet, and Eric Goldman join together once again for an epic season overview episode of Dragons on the Wall. First, we touch on the fallout of the events in Meereen, from there we move onto Stannis decline and if he is or is not lost to us, which brings us to Brienne and Pod and where they may be headed from here, from there we move onto the events at King's Landing including Cersei and the High Sparrow, then it's on to Dorne, Jon Snow and The Wall and the question of if he's truly lost to us, from there we move to Arya and the Many Faced God, and Winterfell. Finally, we talk about some general questions, including the lack of Bran and Hodor this season and how we feel that effected the overall story. We talk about all the big events and big deaths in the Season 5 finale - and why some worked better than others. Warning: Full spoilers for Game of Thrones, episode 9, "The Dance of Dragons"
Welcome back to another Game of Thrones show! Lots to discuss this week, as Season 5 delivers another eventful 9th episode. First, Eric Goldman and Roth Cornet give their overall thoughts on what is perhaps the most talked about event of this episode - the sacrifice of Shireen. From there, we move on to teen-dragon Drogon's Harpy roast and last minute dragon mamma rescue. We then discuss Arya's choice - vengeance or maintaining her vow. Then onto a look at what is and is not working in the Dorne storyline. Finally, we touch on the way the show - as promised - spoiled a plotline from an upcoming book in this episode. Let us know in comments and on Twitter what you'd like us to talk about next week. We talk about an absolutely huge episode of Game of Thrones and all it set up, as Jon faced the undead and a long-awaited chat took place. We discuss the very busy seventh episode of Game of Thrones: Season 5, as a long-awaited meeting occurred. Hello! Welcome to our latest Game of Thrones show. This week, Roth Cornet is joined by Joshua Yehl to discuss the events of Game of Thrones, Season 5, Episode 6, Unbowed, Unbent, Unbroken. We open up with our thoughts on the episode and an initial response to that final, controversial scene. We talk about the episode as a whole, though. Including: Arya's evolution and whether or not the Dorne storyline is paying off. From there, we spend a bulk of the time unpacking that Sansa wedding night scene, the various takes on it, and why it did or did not work for us. Finally, we touch on the Littlefinger's reveal, and what it might mean going forward. Okay, guys! This was a tough one and we understand that there a are a lot of different opinions out there and that this is a topic that inspires some understandable emotion for many. It's totally fine to agree or disagree with what anyone is saying, let's just try to keep the discussion thoughtful and respectful - particularly given the sensitive nature of the subject matter. Let us know on Twitter what you'd like us to talk about in future episodes! Welcome back to IGN's Game of Thrones show! This week, Roth Cornet (I think I just wrote about myself in the third person there, which is weird. Anyway!) is joined by Game of Thrones experts Sam Claiborn and Steve Butts to dive into Game of Thrones, Season 5, episode 5, "Kill the Boy". After our we give our initial responses to the episode, we delve into the nitty gritty of what's happening on Game of Thrones this season; including Jon and his controversial decision, Dany and her "How to Feed a Dragon" lesson in terror, what the heck is going on with Sansa, and Tyrion goes to Volantis! From there, we take some reader email on who may ultimately win the throne, and a possible spinoff series. Finally - with plenty of warning - we head into some book spoiler territory! Let us know vis Twitter what you'd like us to talk about next week! Welcome back to IGN's Game of Thrones show! This week, Eric Goldman and Roth Cornet give their initial impressions of episode 4, "Sons of the Harpy", of Season 5 of the HBO series. From there, we move into a deeper discussion of some of the particulars of the episode, the Sparrows - the newly empowered faith militant - and Cersei's big move against Margaery, Tommen learning some of the pitfalls of leadership (as Dany continues to discover), Jamie and Bronn and the evolving storyline in Dorne - including our first real look at the Sand Snakes, and what Melisandre is up to over at the Wall. Then we move on to some social questions, including: Who we would or would not bring back to life on Game of Thrones, if Bran Stark will make an appearance this season, and the point of the dragons on the series (hint: they're DRAGONS :)). From there, we move on to our regularly scheduled book-spoiler section of the program! Let us know what you'd like discussed in future episodes in comments and Tweet us questions! In the new (and newly titled!) Dragons on the Wall, we discuss all of the big events this week, including Cersei's power struggle and Arya's training. We aldo chat about Jon Snow's choice vs. Dany's the week before, plus what we think about a notable change for Sansa from the books. Welcome back to IGN's Game of Thrones show! This week, Eric Goldman and Roth Cornet discuss the second episode in the fifth season of HBO's Game of Thrones, "The House of Black and White". From there we move on to a discussion of Jon's big decision this week, and if we feel it was the right choice. Finally, we move on to a chat about our favorite pairings of the season so far and then - with plenty of warning - a chat on some of the differences from the books. We discuss the big Season 5 premiere and all that occured. Plus, our thoughts on the show introducing flashbacks, Game of Thrones vs. Breaking Bad and a big (apparent) deviation from the books regarding one character's fate. Welcome to Watchers on the Wall! Each week, we'll dive deep on Game of Thrones and the world of Westeros. In our debut episode, Eric Goldman and Roth Cornet look back at the events of Season 4 of the HBO series in preparation for the Season 5 premiere. We then delve into the reveals that the show will not only break more and more from George RR Martin's series of books, but will also spoil some of the novels that have not yet been released. With seemingly - almost - anyone up for grabs, we talk about a group of psychics predictions on who will die this season, and if we agree or disagree. From there, we move on to social questions, which includes a comparison between Breaking Bad and Game of Thrones. Finally, we move on to the book specific portion of the show - with fair warning - where we talk about a certain character that we've not yet seen appear on the series and the chapter that George RR Martin recently released from the yet-to-be-released Winds of Winter.